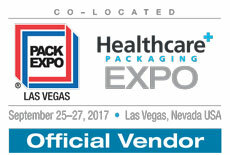 Welcome to Exhibitor Invites® for Healthcare Packaging EXPO 2017, a FREE Email Marketing Tool that allows exhibitors to reach their customers and prospects with customized email invitations, offering unlimited complimentary registrations for Healthcare Packaging EXPO attendees. Registration Requirements: Complimentary registration is valid for online pre-registration only; not valid on-site. Expires September 24, 2017. Complimentary registration is intended for use by end-user, retailer and contract packager registrants. Non-exhibiting suppliers and distributors are required to pay standard attendance fees. A non-exhibiting supplier is defined as anyone who sells packaging/processing/converting equipment and/or anyone who's primary product is packaging containers or materials, supplies, automation, or other services. A distributor is defined as a professional who resells packaging/processing/converting equipment/supplies. No exhibitor list will be rented, sold, or used for any other purpose, even by show management. View the Exhibitor Invites commitment to your list security (pdf), signed by our co-founders. Also, view the customizable NDA/list security agreement. To get started, simply type in your Username and Password provided to you by the Healthcare Packaging EXPO 2017 Management Team. View who registered from your Exhibitor Invites email campaigns at Exhibitor Booth Registration for Healthcare Packaging EXPO 2017.